BRILLIANT, I can see those questions forming in your mind and you we be astounded at what you can learn here. With so many new things your brain with be jam packed with knowledge. 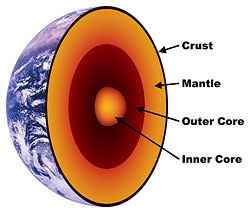 You will find amazing facts and photos all about the many topics.... You will learn many things about the earths layers, and a lot about the tectonic plates and how many there are! There will also be more facts about different volcanoes and earthquakes. So grab a pencil and start looking and learning. You will learn what everything is made up of, what they are called, if there are say two or three of it, and some have their own interesting facts just waiting for you to look at.... So enjoy these next pages and pry into the world of science. The pictures below will be about things you will be learning about on this website but there is much more. Some of these pictures will also be on other pages and will be showing different things about different topics.